We were pretty beat after our liveaboard trip, so Koh Lanta was the perfect destination for us. Although it is a pretty large island, there aren’t a lot of people who go there. It remains pretty secluded for most of the year. We secured ourselves a bungalow on the beach (for about $18) and got right to relaxing. We watched the sunset every night, probably some of the most beautiful we have seen yet. We rented a motorbike and cruised the island. 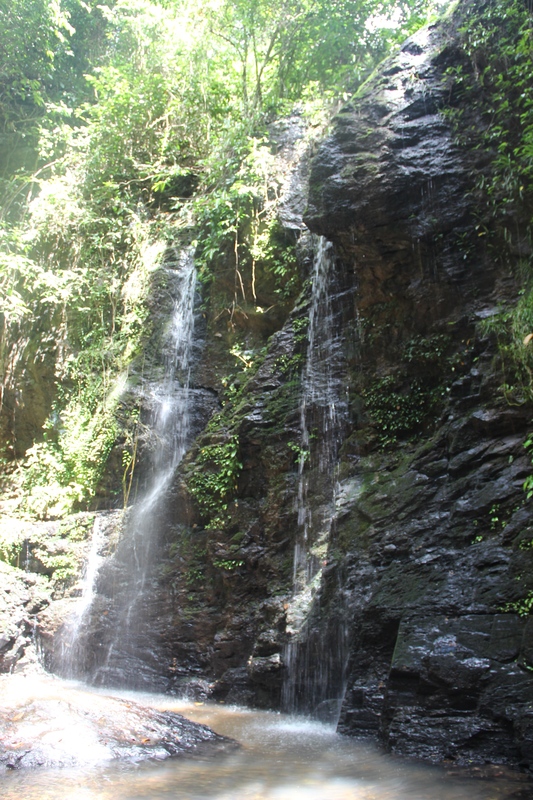 We spent one day hiking to a waterfall that claimed to be 30 minutes from where you parked your car… it was more like an hour, but it was quite pretty nonetheless. During our time scooting around the island, we passed by a Greek restaurant. I was so excited, I HAD to eat there. Even if it was crappy Greek food (which is what I expected, as most of the “western” food is mediocre at best), I just wanted a little taste of anything even trying to be Greek. We headed there for lunch one afternoon and met the owner, Spyros, who was from Greece. He and his family had lived in Thailand for the past few years. From that moment forward, I knew our food would be top notch. Once our dishes came out, they did not disappoint. We made a decision right then that we would be back again for dinner, and lunch the next day… oh and dinner that day as well. We at there 4 times in 2 days, we couldn’t get enough. If you find yourself in Koh Lanta, don’t miss out on this place. Some of the best Greek food I’ve had…anywhere. 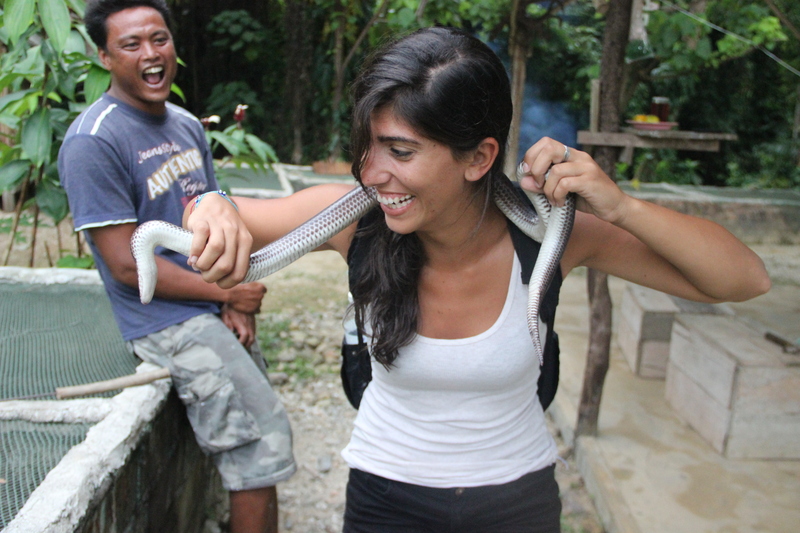 That was a definite highlight for our few days on the island. 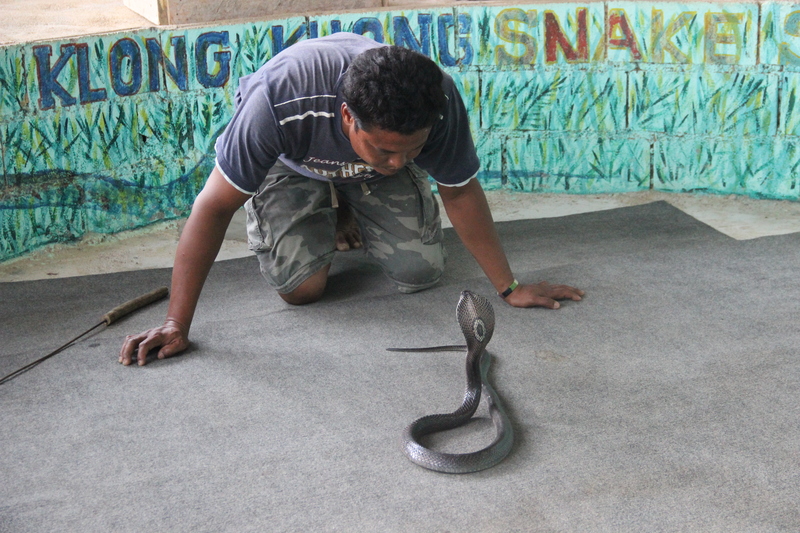 Then came the snake show. 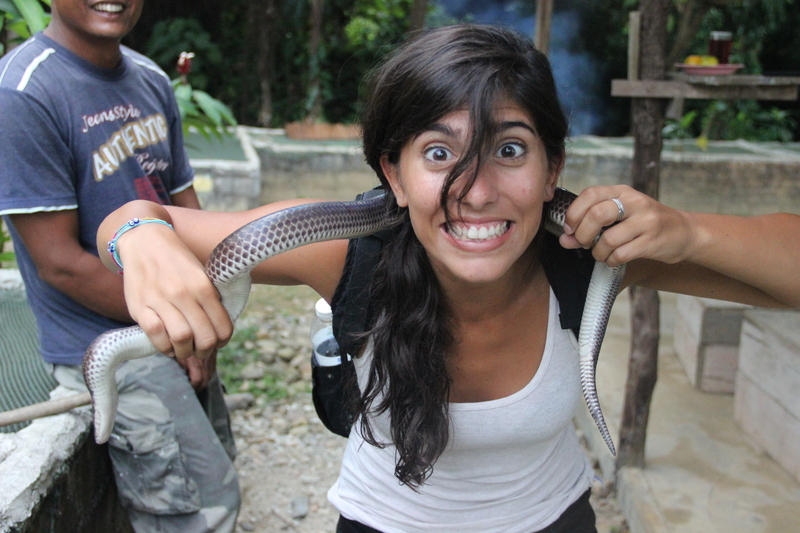 Yes, the snake show. We drove up to find out what time it started and found that it starts on demand whenever someone shows up with money. So here we were, no clue what to expect but ready to see what they had to offer. 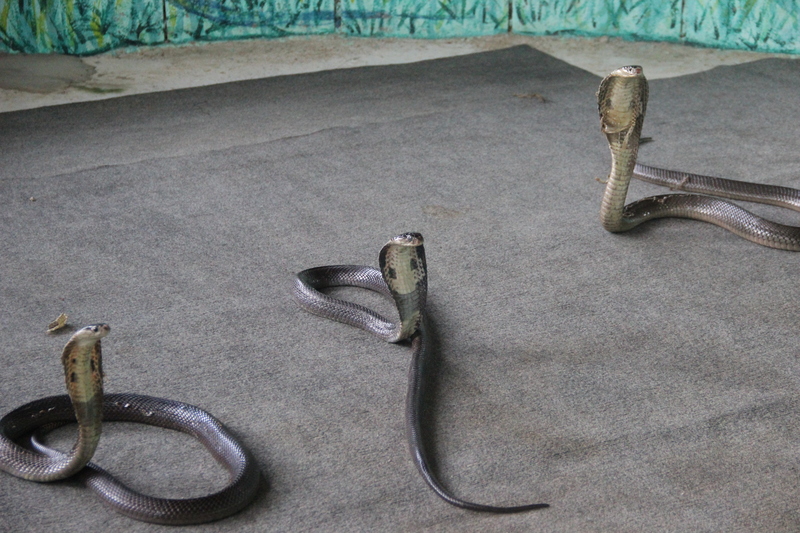 There were around 10 concrete boxes lined up with mesh tops, each with different kinds of snakes in them. 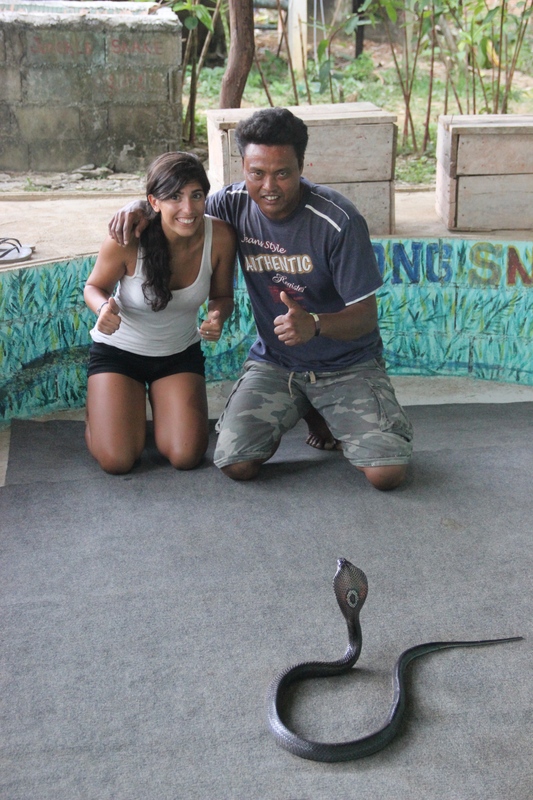 Our snake show guy – Chien, started off by opening each box, telling us what type of snake we would be seeing and then letting us take pictures and shove the Go Pro in their faces as they attacked it angrily. Chien found this to be hilarious. 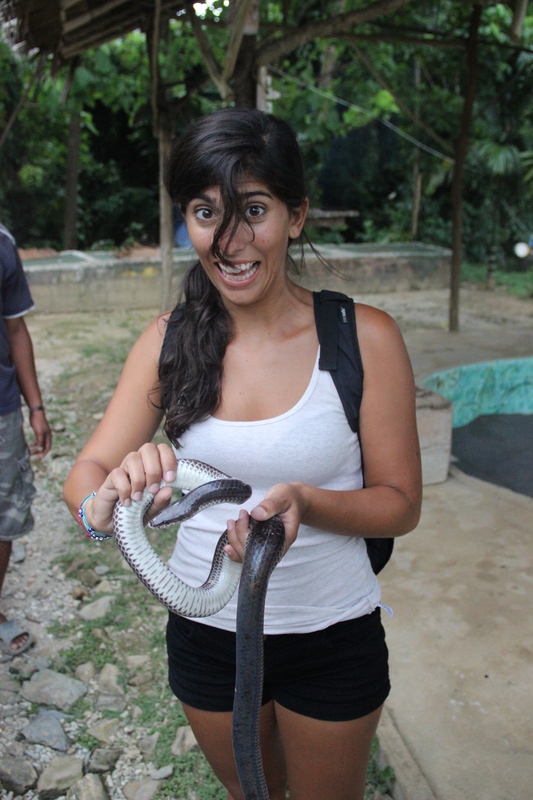 He also thought it was funny to sneak up behind me and grab at my ankles as one of the cobras lunged in my direction in the box. I thought I was going to have a heart attack. 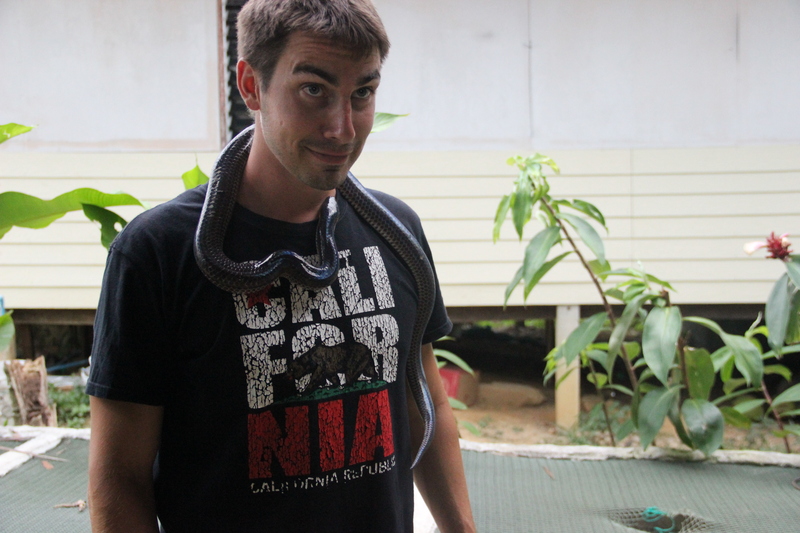 He let us hold one of the snakes that only ate bugs and wasn’t a threat for us, it was still a bit scary (as evidenced by my face in the picture). 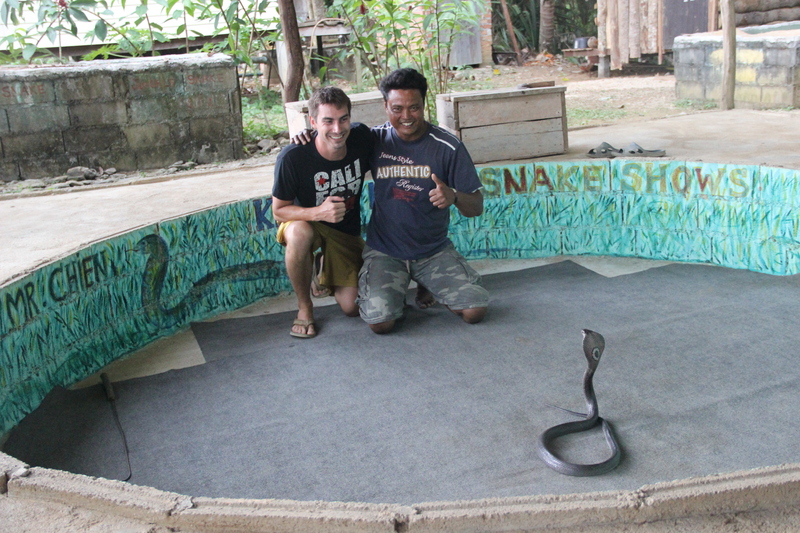 After our tour of the different snakes, we sat down on some homemade bleachers set up in front of a ring and watched him get on with the show. 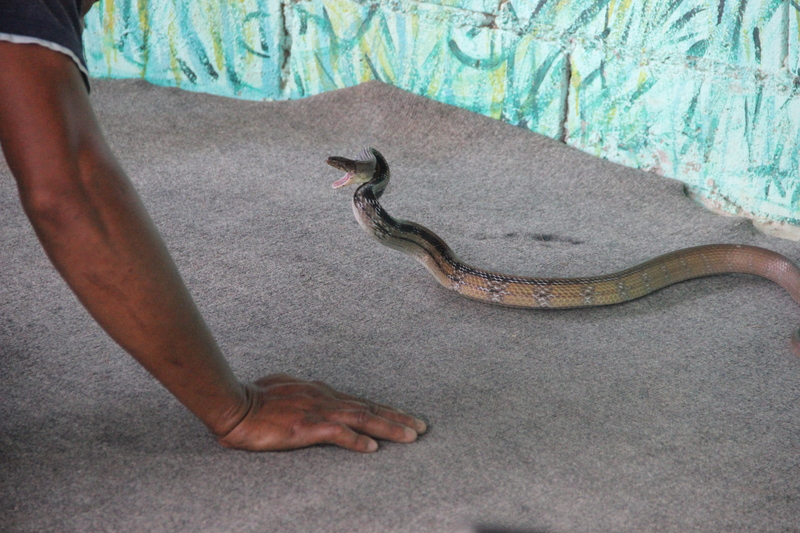 He first pulled out one cobra, put him in the ring and sat inches from him as he taunted him and encouraged the cobra to flare his head. 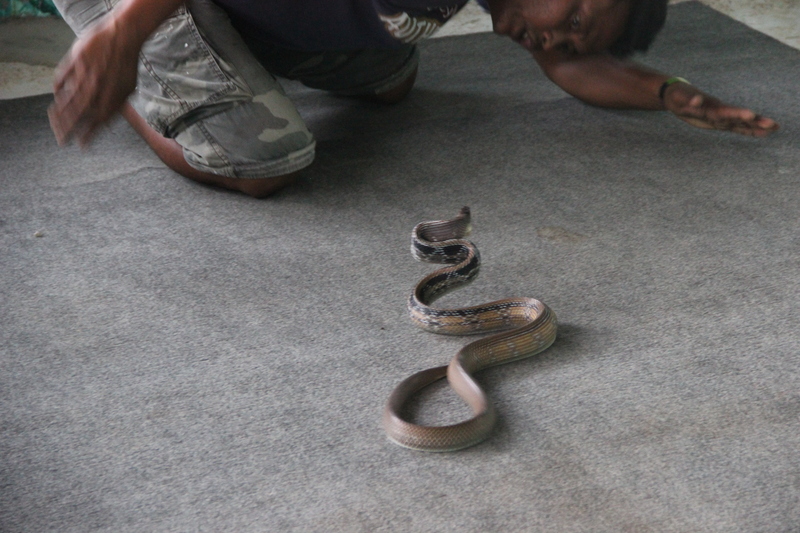 Then while the cobra was standing up, in striking position, he made Rob and I come sit in the ring, one at a time. It was terrifying. 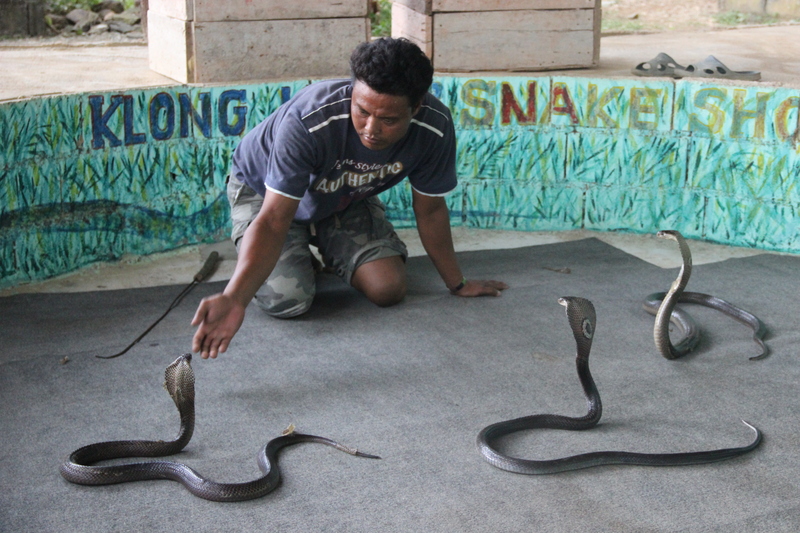 After this, Chien got two more cobras and put them in the ring. 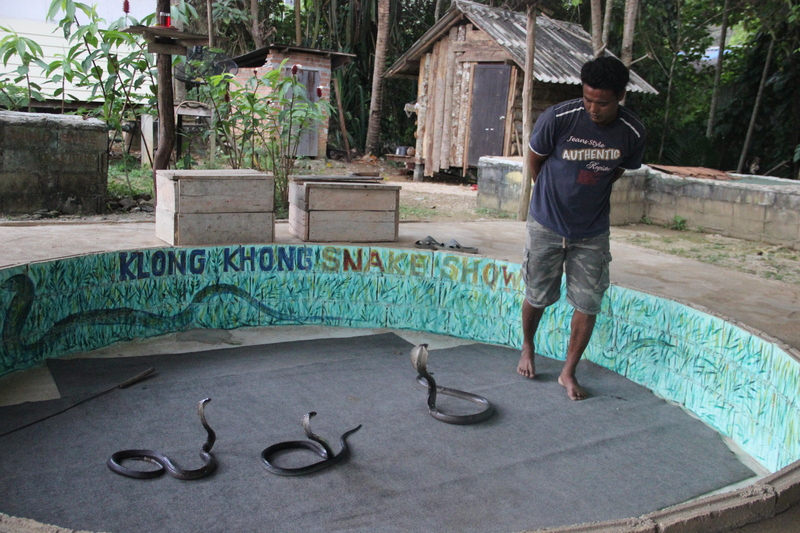 3 poisonous snakes ready to attack and one crazy Thai man. He then continued to play with them. Lunge at them so they would lunge back – getting so close, I thought for sure they would bite him at least once. 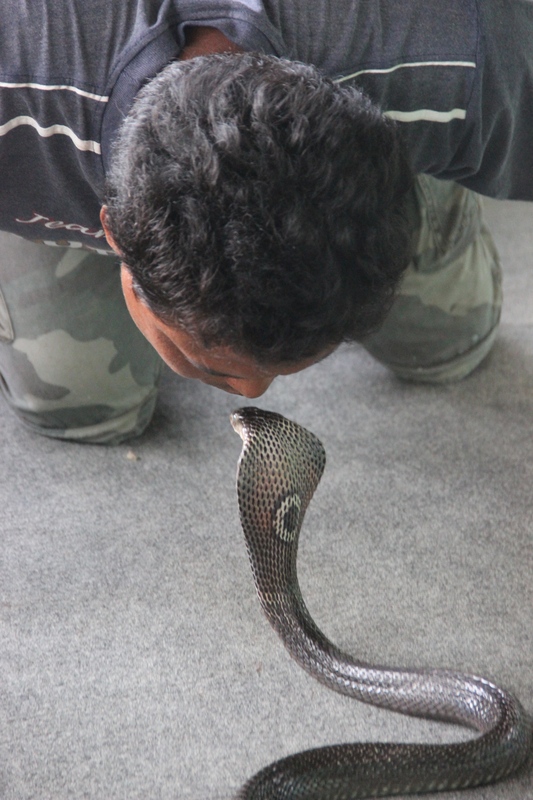 He danced around with them for about 10 minutes and then stepped it up by facing one cobra, leaning over its head and giving it a kiss. A KISS!! Rob and I were amazed. 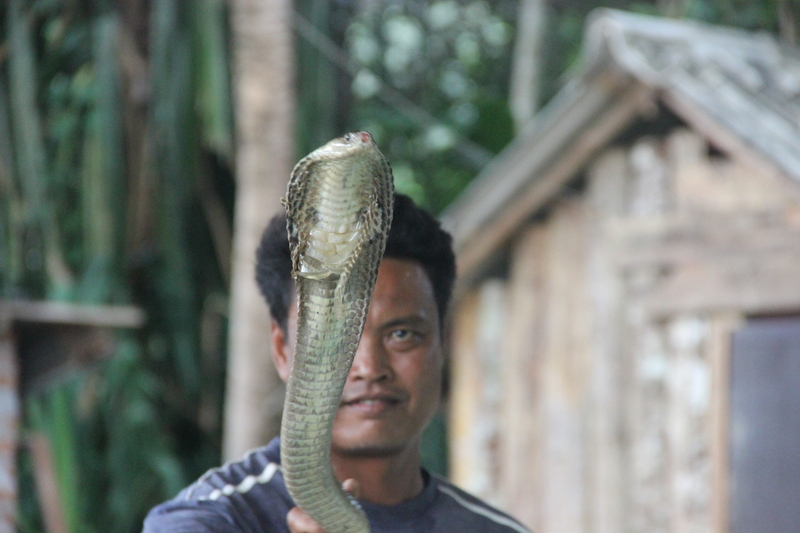 Chien put away the cobras and while doing so showed us how to exctract the venom – awesome. 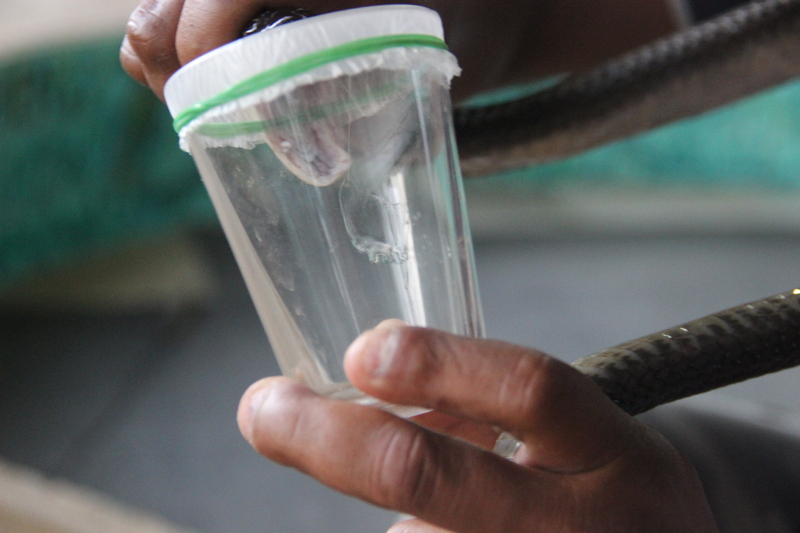 He sells the venom to a local doctor which is used to create anti-venom treatment for snakebite victims. 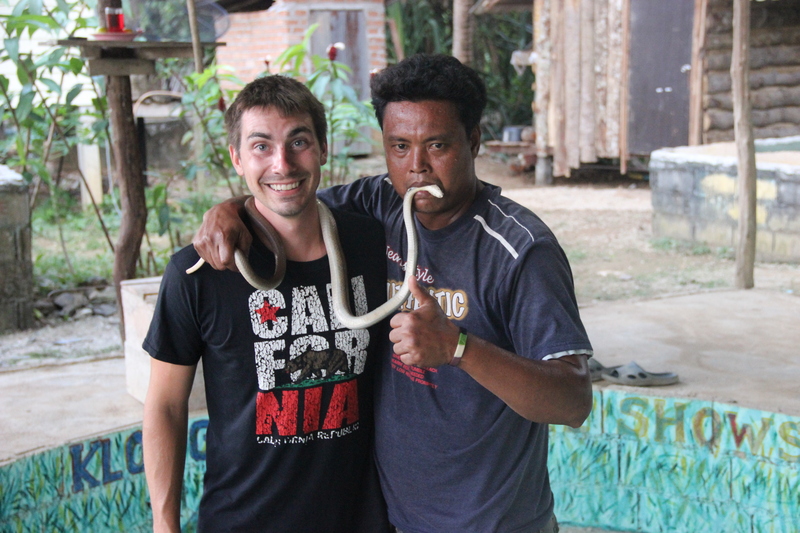 After watching the first 10 minutes of the show, I’d have to believe the most likely bite victim on Koh Lanta was Chien himself! 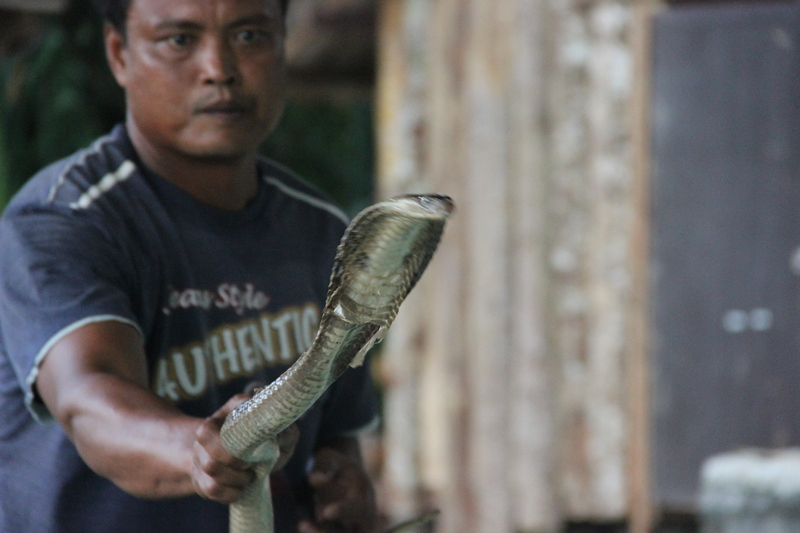 Anyways, at this point the show wasn’t over – he pulled out another poisonous snake. 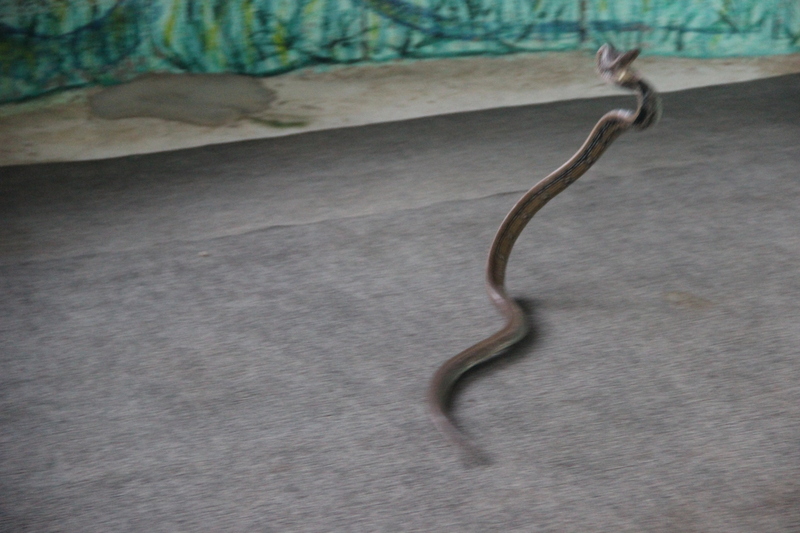 This snake jumps when it attacks. 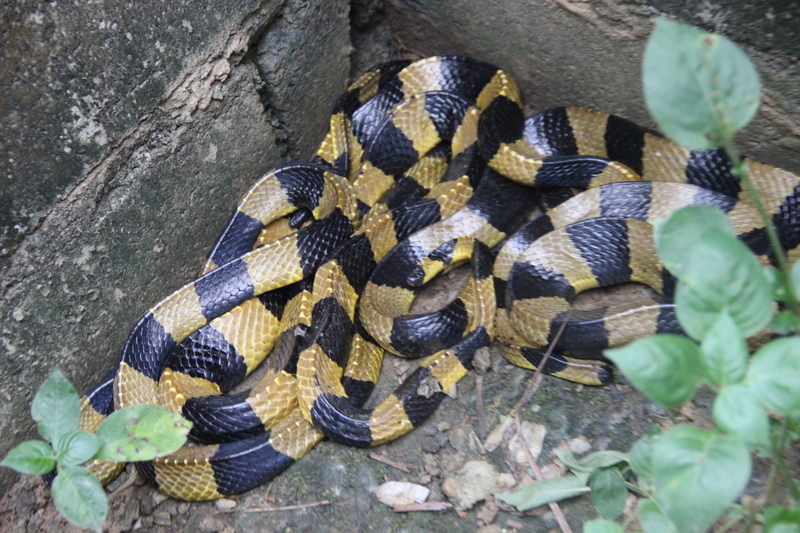 Chien would get down on his knees, get face to face with the snake, smack the floor as close to the snake as possible and hop back as the snake lunged towards him. 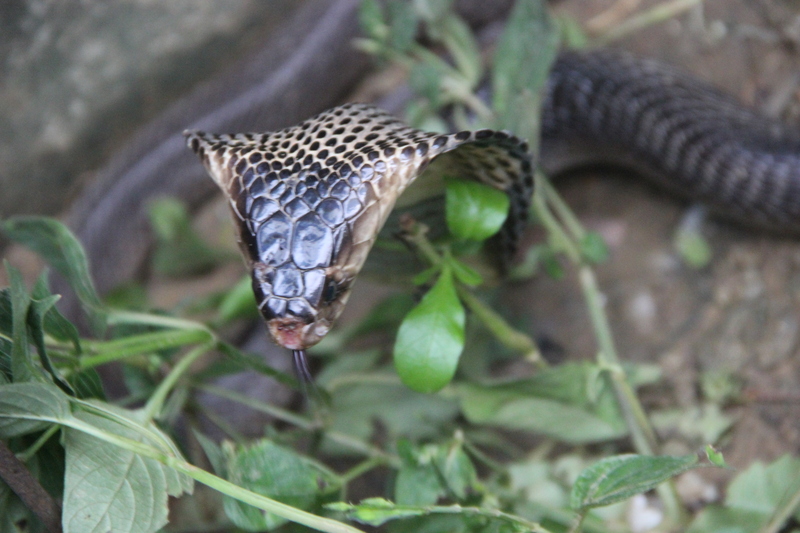 They played this cat and mouse game for 20 minutes until he finally calmed the snake enough to PUT IT IN HIS MOUTH!! By far this was the most exciting show we have seen to date – Chien was the man. 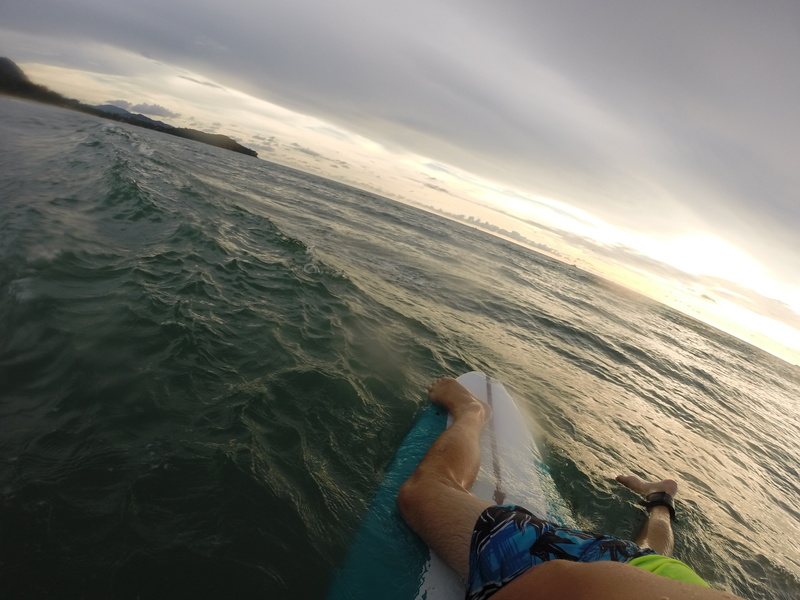 We continued our motorbike travels towards the northern part of the island for some snacks and surfing. I was itching to finish the book I was reading so opted to just relax poolside while Rob went out and caught some waves. He finished out the night with a active game of volleyball with some locals and then we headed home – stopping to eat at the Greek Taverna on the way of course. Koh Lanta was a beautiful stop and was by far the most chill and relaxing yet which allowed us to regroup a little before heading away from the beaches for a few weeks.